Most of the time, we would make sure that the big things get done first – followed by the smaller stuff, as priorities will need to be sorted out. The thing is, some of us do happen to get our priorities upside down, so for such a group who feel that the tissue box holder at home will need to be replaced with some sort of cover that is attention grabbing, then the $19.99 Squirrel Tissue Holder is well worth checking out. The Squirrel Tissue Holder is an adorable looking thing that ensures your bathroom tissue is held well, where it is the ideal size for a toilet paper roll, and best of all is, it can be placed wherever it is needed. 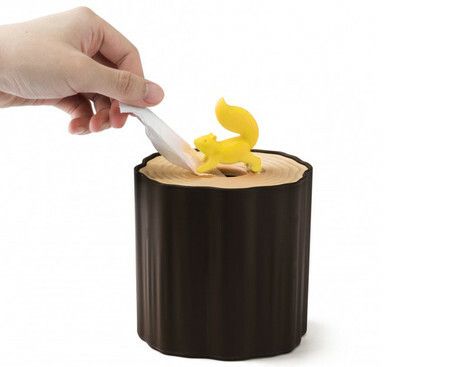 You will be see how this little yellow squirrel guards the hole in the middle, making sure that you do not pull out too much tissue than required.